Emeth was formed back in October 1997, by some people who weren't completely happy with the bands they played in. The motivation and dedication to do better quickly led to several releases and the opportunity to play multiple live-shows. After having experimented for a few years and hereby seeking a musical identity with the inevitable line-up changes, some members wanted to evolve into a brutal unrelenting death metal band. Due to these musical differences the band parted ways with most of it's original members. Since march 2001, a new but steady formation saw daylight when ex-Necrodochion drummer Tom Ales aligned Matty Dupont (guitar) & Tom Kimps (vox). Although the name EMETH was kept a new band was born with this line-up change . 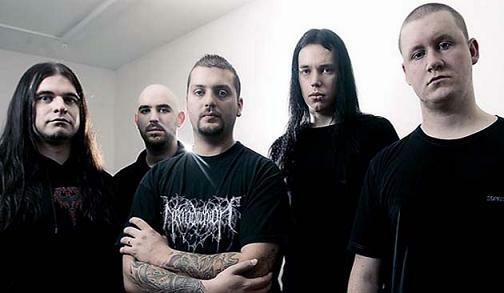 To completely redefine the band's musical direction the revamped line-up immediately started writing new material, while playing many shows with bands as: Prejudice, Cadaveric Crematorium, Inhume, Sinister, Pandemonium, Pandemia, Occult,� in countries as Switzerland, The Netherlands, Belgium, Luxemburg, Czech Republic.. Steadily EMETH grew as a band that's embodying relentless churning guttural vocals on shredding guitars and cataclysmic drumming. As a result the music has evolved to a new level of intensity due to a more sophisticated approach of composition and structure merging technicality with utter brutality. The writing-process is taking serious progressions as Tom A. and Matty are constantly involving a precise supervision upon every musical detail to push the boundaries of their not so typical musical direction even further. All these continuous efforts resulted in CD deal with BRUTAL BANDS. 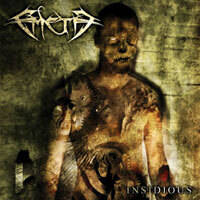 In September '03 EMETH entered the Excess studio, known for it's professional and brutal quality recordings, to record their first full-length album named: 'INSIDIOUS', tentatively slated for release on BRUTAL BANDS.